LaBrent is using Smore newsletters to spread the word online. 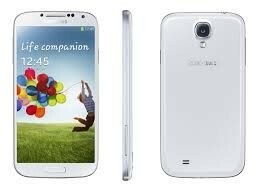 Stay connected with this Samsung Galaxy S 4 mobile phone, which features a 5" Super AMOLED HD touch screen for simple navigation of features. The 13.0MP rear-facing camera snaps vivid high-resolution photos. Requires a Simply Everything or Everything Data plan and a $10 Premium Data add-on. The Early Termination Fee is prorated and is calculated by taking the months remaining on your Service Agreement times $20 for Advanced Devices, with a maximum of $350, and minimum of $100. Along with a 1.9GHz Qualcomm Snapdragon 600 quad-core processor and 2GB RAM allows you to stay connected and productive on the go. Offers quick and easy connection speeds. Sprint 4G LTE network available in select markets. Mobile hotspot capability provides Web connection for up to 4 additional Wi-Fi-enabled devices. For blazing-fast Wi-Fi and a wide range of connection options. Also compatible with Wi-Fi 802.11a/b/g/n. Enables this device to act as a hub device for an ecosystem of Bluetooth smart devices able to connect and share and distribute information with extremely limited battery consumption. Features 1080 x 1920 pixels resolution and 16.7 million colors to simplify use and display content in sharp detail. Gorilla Glass offers rugged durability. Along with a 2.0MP front-facing camera allows you to preserve memories with stunning clarity. With the included lithium-ion battery. Free wireless emergency alerts are now available on capable devices on the Nationwide Sprint Network. * Phone activation required before use.